One of the natural functions of our nervous system is to resonate with energy and life force within our environment. Our psyche is an “organic resonator”, exchanging energy and information with its social and natural environment constantly. However, as humanity has followed a materialistic path of development, a separate ego self becomes the primary frame of reference for our psyche. As a result, our cognitive mind no longer properly processes the stream of information as a result of the resonating function of our nervous system. Gradually, the human systems built by our cognitive mind become disruptive forces to the natural environment and humanity itself. Fieldtuning consists of four steps. You will need paper, scissors, and a handful of small, identical containers that you can label easily with a marker on the outside. 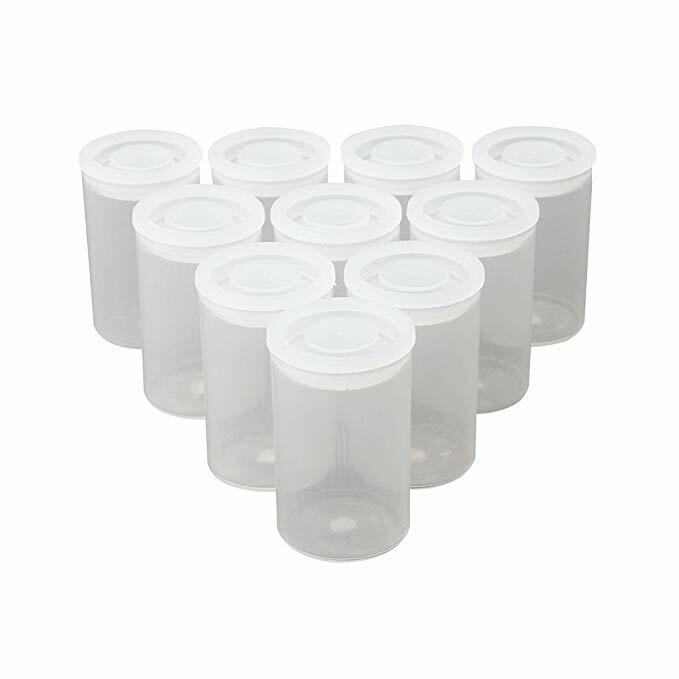 We use clear film canisters such as shown here. First, I invite you to put your attention to a domain of your life where you feel either some tension, challenge or potential for further growth. When you reflect on how this domain of life is unfolding, you may partition your experience into 3 to 7 partitions. There are various schemes one can use to partition the field. I will give a few examples of the schemes. You can devise the scheme that fits the shape of your inquiry. Scheme two is a partition along different aspects of one’s self: the rational and analytical aspect of self, the inner child that is fearful and timid (or wild and bold), the loving and idealistic aspect of self, and the studious and practical aspect of self. In scheme three, you can identify partitions as relationships with partners, colleagues and collaborators of various projects you are involved in. Here is one exercise that may help you to partition the field. Write down short phrases that describe aspects of your experience of the situation, and then group these different phrases into 3 to 7 partitions. Finally, give a short name to each of these partitions. For the purpose of illustration, let us assume that you have partitioned your field into five partitions. Write down the name of the partition and label them as A, B, C, D and E. Set the list aside. Take five small pieces of paper and mark them with A, B, C, D and E. Fold the paper to hide the side with markings on it. Toss them randomly so that you will not know the identities of the paper. Take the small containers and label them with numbers 1 through 5. Randomly put the five pieces of paper into the five containers. This step ensures that your linear rational mind is blindfolded while you tune the field. This way you practice total trust of the information coming as a result of the resonating function of your psyche. After the tuning is done, you can open up the container and reveal the identity of the partition to yourself. This procedure ensures that your linear, rational mind will be fully engaged in synthesizing the information coming from the tuning into meanings. Next you can set up this field in your own physical space. Find or create a clearly bounded, empty space on the floor. It can be as small as four feet square. Arrange the containers within the perimeter to establish five sectors. Arrange these five sectors in your space guided by your intuition. These sectors act as space holders for you to interact with the five partitions of the energy field. Have a notepad and pen ready to take notes. Ideally, invite someone you trust to take notes for you. Now you are ready to begin. A. Place yourself somewhere comfortable outside the perimeter. Center yourself using your favorite method. Meditate, take a short walk, stretch, or take a few breaths until you feel you have centered. If thoughts come through or feelings arise at this point, do not push them away. Write them down, (or speak them aloud for your note taker), as faithfully as possible. For example, part of you may protest and say, “This is ridiculous! What hell are you doing!” Or a self-critical part of you may say, “Forget about it! You are not intuitive!” These are all common thought patterns. Your job is not to censor them, but to be a neutral and attentive witness observing whatever arises. Let your inner voices speak. Capture in your notes whatever shows up. B. After you feel like you have found that neutral witness in you, turn your attention to the five sectors within the Fieldtuning space. Ask them, as if you are asking an advisory board, which one of you would like me to visit first? At this point, you may start to feel yourself drawn to one of the five. If you don’t get any clear signal, just randomly choose one. Any random choice is a good choice. Just follow your instincts. No need to take this super seriously. This is an experiment. Be playful! C. Move yourself physically to the numbered sector that has “spoken” to you. Take some time to arrange your body. Does this sector want you to sit, stand, or lie down? On top of the paper, around it, or below it — does it ask you to pick it up and hold it in your hands? Try different poses. After you settle your body, again turn your attention inward. What are you feeling and sensing right now? What random thoughts and memories are flowing through your mind? What images or sounds are popping into your awareness? Does your body register temperature, pressure, pain or pleasure? Does your body feel like moving, shaking, jumping or dancing? Are any emotions arising in you? Does it feel like you are inhabiting some particular environment while you attend to this field? Note your impressions. For most people who do this the first time, this is a very refreshing experience. You are practicing dreaming while awake. The information you are receiving this way is not categorical information. It is qualitative information. This is similar to being blindfolded and led to touch an object. You have to gather as much qualitative information as possible through your senses. When you have enough information, suddenly something clicks in your mind. You realize what it is. Fieldtuning is like blindfolding our linear rational mind, freeing all other channels to operate without censoring and restriction. If you find thoughts of censoring, judgment, or restriction arising, simply include these thoughts too. Write them down or speak them out loud. Then, continue observing what else is arising. After a while, you will sense that the impressions become quiet and the communication is complete. Thank the Field and step back outside the perimeter. D. Repeat steps B and C, until you have visited all five sectors. There are two more things to which you can pay attention. First, at any sector, you may inquire, what is its relationship with the other sectors? Following this question, you may perceive forces of connection or repulsion, or additional streams of consciousness coming through. Take a note of whatever you perceive. Second, sectors may want to merge or re-arrange themselves in space. Follow the impulse, rearrange the papers defining the sectors and notice what seems different in their relationships to one another. E. After you have done all five sectors, leave the perimeter. Again, center yourself using your favorite methods. Capture any remaining impressions, or notice any that you failed to capture in the moment. You can now disassemble the field. Once the tuning is finished, you may now open up the container and check the A, B, C, D and E labels written on the paper and match it with list you made at the beginning of the exercise. This time your linear rational mind can take charge. Analyze the qualitative information you have received through Fieldtuning. Match up the information you gathered with the corresponding sectors identified on the website. What associations do you make between these two in each case? What interpretations do you wish to make regarding the complete journey of your tuning adventure? Contemplate how this information informs your personal journey of evolution towards wholeness. The key to success in this exercise is trust. Trust all those little voices, feelings, sensations, random thoughts, and memories arising in you with your mind in a total state of unknown. Become aware of the censoring influence of the linear rational mind. Even if you think, “Oh this information is irrelevant,” or, “This is purely my imagination,” or, “ This cannot possibly be true,”, just faithfully record whatever it is, as well as your commentary. Often, before the final step of involving the linear rational mind, you may feel a lot of energy moving through you. You have consciously reversed a very strong, unconscious pattern of our culture by assigning the linear rational mind the role of follower instead of leader. Through Fieldtuning, you may experience what it is like to employ your psyche as a resonator with the informational field of Inter-Being. Fieldtuning demonstrates that what our conventional social practices deem as the least valuable, least meaningful aspects of ourselves, the dream-like, random streams of consciousness, when given the right condition, can be channeled into powerful agencies. This is a profound lesson to experience. In fact, experiencing it is life-altering. At the same time, to use the resonating function of our psyche wisely and efficiently requires an ongoing practice of calibration and refinement. You may engage with the practice of Resonance Code for that purpose. Group Fieldtuning is a powerful process to elicit a vision among a group of people. The group members are dreaming together, engaging their subtle visions and perceptions together to collectively shape a vision. Since doing this with each other requires utmost trust and tenderness in holding the most tender and vulnerable aspects of each other, this is a very intimate and connecting experience. One such group Fieldtuning conducted at the Resonance Code Research Lab is documented in this article.